With Kodi 18 Leia now in the RC cycle, we can only assume the final release is in the offing. 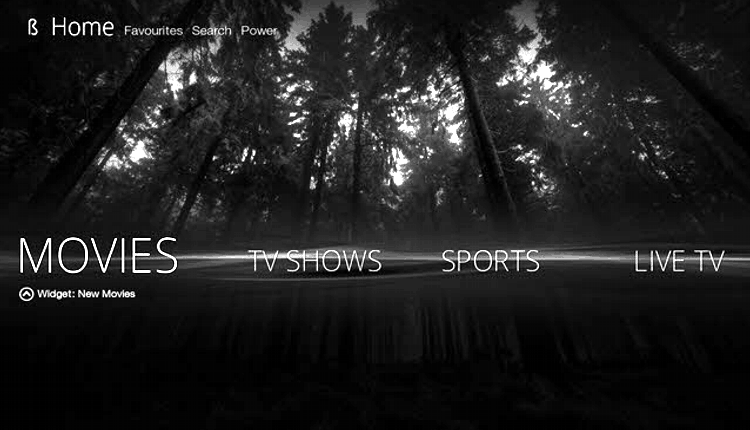 The newest Kodi Leia RC1 version is impressive and offers more stability and improved usability. However, to get the best out of the media player, you will need to have the right addons. If you are not up for the hassle of researching the various addons, then it makes sense to install a top Kodi 18 build. Kodi builds are loaded with the best addons and skins allowing you to set up the media player with a single installation. With the right Kodi build you can fully optimize your Kodi system and personalize your streaming experience. 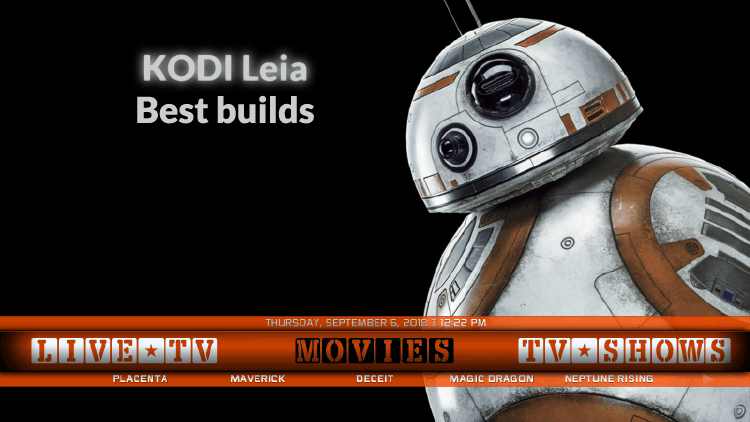 In this article, we take a look at the top builds we found to be working with Kodi Leia. However, you first need to get a VPN before anything else. While Kodi is legal and safe to use, most third-party builds always feature addons that aren’t. When using these builds, you can end up streaming copyrighted material without knowing it. And with ISPs and governments now monitoring users more than ever you can end up facing hefty fines and even potential jail time. Fortunately, with a GOOD VPN you can encrypt your entire traffic and hide your online activities from prying eyes. The VPN will also help you avoid bandwidth throttling since your ISP will be blind to the type of data you send over the network. You will also be able to overcome any geo-restrictions placed on content or addons. Not all VPN services are good to go, specially the free ones where the monetizing scheme usually consists on selling the users navigation data collected. Soon or later your IP and activities when using those VPNs will be transmitted to third-parties; your data will end up on publicity agencies or, worse, in control governmental agencies. Also most of them can not bypass geographic restrictions and are poor in speeds for streaming HD videos..
IPVanish is one of the best VPNs available today, and the best VPN for Kodi. The VPN is super-fast and offers reliable connections making it perfect for streaming. IPVanish has a huge server network spread across all the major regions to help you access any content fast. If you are a privacy-focused user, you’ll be thrilled to know that IPVanish does not keep any logs. The VPN also comes with advanced security features including an automatic kill switch and IP/DNS leak protection. It’s also compatible with all the major Kodi devices including Windows, Mac, Linux, Android, and iOS. IPVanish is fairly priced and we have managed to get an exclusive IPVanish discount for our readers. With the Best builds for Kodi 18 Leia here listed, you will get some of the best Kodi 19 addons preinstalled. Nebula is an excellent build from One Nation Portal. The build breathes visual life to Kodi and features the stunning Aeon Nox skin. Nebula is well maintained and the developers regularly update it with the recent and best working addons. 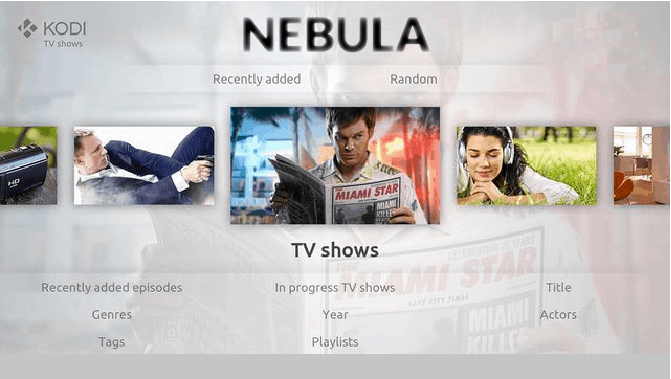 Popular Nebula addons include Deceit Sports, Rising Tides, and IPTV sources like Maverick, Verdict & Mobdina. 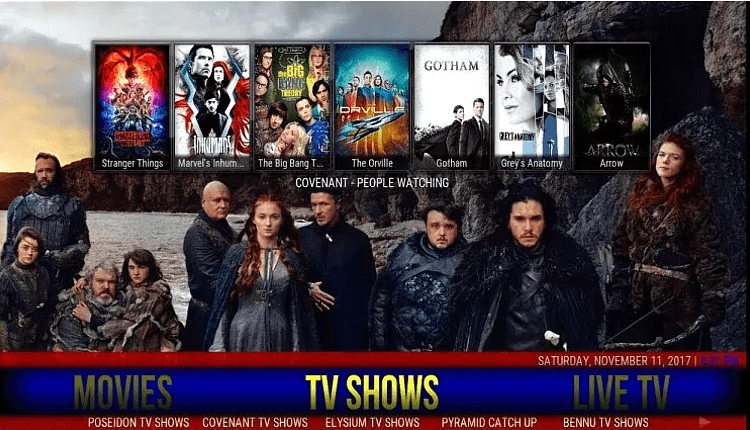 The build is easy to use and navigate and conveniently categorizes content into Movies, Live TV shows, Live TV, All in One, 4KUHD, Addon Hub, Favorites, and more. Because of its small size, Nebula works smoothly on all Kodi devices including Firestick and other low-end devices. Second on this list of the Best builds for Kodi 18 Leia, the Collusion Build is an exciting lightweight Kodi Build that runs smoothly on almost all Kodi devices. The build boasts impressive functionality and features a sleek interface. Categories ae well organized and there are tons of addons to choose from. Collusion offers all-around entertainment and comes equipped with Real Debrid for alleviating buffering when watching HD content. Just like Nebula, you’ll find the updated Collusion build on the One Nation Portal. Nightshade is another awesome build for Kodi, deserving to be mentioned here on this list of the Best builds for Kodi 18 Leia. The build is from the Whiz Kid Wizard, and it weighs 297 mb. It is not recommended for low end devices, but it should work smoothly on your PC or Mac. The build uses the Bello Nero Skin which has some awesome background, and you will have a good time using it. Nightshade offers a wide array of content organized into Live Sports, Live Tv, Movies, sports, Tv shows, kids, All in one, 4K and more Kodi Video Add-ons. The last but not the least on this list of the Best builds for Kodi 18 Leia, Slamious is another great Kodi 18 Leai build that can be installed from the One Nation Portal. The build has great graphics and allows you to watch Movies, TV Shows, Live TV, Sports, Music, Kids videos etc. Slamious comes with some of the best Kodi addons which include DeathStar, Marvel, Selfless Lite, Monster Munch, Replay Me, Maverick TV, StarTec, Yoda, Aspis, and more. First, switch on install from unknown sources by going to Settings> System Settings> Add-ons. Click ‘unknown sources’ to enable. First of all, turn your VPN to On. Why? In the resulting Window, choose Add source. Once you’ve entered the correct URL, click OK.
Name the media source and click OK.
Scroll down and select the specific add-on. Click Instal Wait for the ’add-on installed’ notification. You can choose to make a fresh install or a standard install. We recommend a fresh install to install the build from scratch and avoid potential functionality issues. After the download and installation process is complete, select ’Force Close’. Relaunch Kodi and enjoy your newly installed build! Installing Kodi builds is not at all difficult and can be completed in a few minutes. With the above Best builds for Kodi 18 Leia you can greatly enhance your home entertainment. All the builds work smoothly and make it easier to locate your favorite streams. Just remember to have a Good VPN like IPVanish always turned to On, before install them or stream anything on Kodi. Also you can visit our review on the best VPN services for Kodi, and pick the one corresponding to your needs. We will continue to update the list as more Kodi Leia builds become available. We hope this article was helpful to you. If so, please share it with your friends.